I am so excited to have Riley Redgate on the blog this month. If you’re not already familiar with her excellent YAs, rectify that immediately by reading Seven Ways We Lie as you wait for Noteworthy to release on May 2nd! Not only are her books and brain super fun and unique, but she’s got some skills when it comes to getting underrepresented POVs on the page, which is something I think we can alllll appreciate around here. But I’ll let her tell you more about that! Congrats on the upcoming release of Noteworthy! One of my favorite things in the book is that not only is Jordan figuring out her own sexuality, but she’s also critically examining her actions as they pertain to gender identity. Was that always a planned part of Jordan’s journey, or did that come about as it was unfolding? Thank you! Yes, I always wanted to address gender identity in Noteworthy. We’ve reached a point where not addressing gender identity in these sorts of narratives feels disingenuous to me (especially in a liberal environment like an arts school). That said, it was critically important to me that I steer clear of using the trans community as a foil or mirror for Jordan (who’s cis), in a way that felt diminishing of the importance of trans kids’ lives, identities, and struggles. I actually did have a draft that omitted examinations of gender for fear of that feeling of exploitation, but it felt off, tonally, so out the door it went. I don’t know. Striking that balance—maintaining a feeling of awareness, but not using the community as, basically, an object for sort of voyeuristic consumption by a cis narrator—was one of the toughest lines to walk in the manuscript. I also really love that Jordan’s narrative is that of a child of immigrants, which is a glaringly important one in the current political climate, and especially welcome in LGBTQ lit. For those who haven’t gotten to read Noteworthy yet, what would you say about how her background informs her choices and identity? Jordan’s narrative in many ways is about belonging. There’s no foregrounded struggle where she’s asked to take ownership of her identity as a Chinese girl, but I think the alienation of being a child of immigrants peeks out several times. She acutely feels the distance between her American identity and her parents’ upbringing abroad, but there’s also the usual sense of not being American enough (e.g., to land roles written for white Americans). Those smaller tensions can be unavoidable in the day-to-day. Your books strongly acknowledge queerness without ever really being “about” it, or about coming out, but as far as I know, you’re the first author to put a pansexual main character on the page in mainstream YA, with your debut, Seven Ways We Lie. Was that a challenge along the way? And what kind of response have you received to that from readers? Seven Ways We Lie also has a narrator working through the process of figuring out he’s aromantic asexual, though he hasn’t quite found those words yet. Or, at least, that’s how I read him. Do you find readers tend to read and respond to him that same way? (I definitely had someone tweet at me that he was the closest she’d ever seen to herself in a book!) Is that an identity you might explore more in future books? I get a lot of messages about this narrator from people who see themselves in him: asexual readers, aromantic readers, and autistic readers. I think his realization that he’s aromantic asexual is textually explicit enough that acearo readers will recognize that arc, and I’ve seen that response. Still, in retrospect I wish it were on the page, as well as his identity as an autistic boy. I do plan to keep writing characters of all sexualities; I would be very surprised if I didn’t write another acearo character. You’re not only an author, you’re also a musician. How do you find those two passions intersect, and where can your readers also find your music? This is true! I do the musics! Folks can find my singer/songwriter stuff at my Bandcamp, and for giggles, here’s me singing with my college a cappella group, the Owl Creeks. I’m also writing a soundtrack for Noteworthy! Obviously you’re not new to the world of a capella, either. What are your favorite covers, and what are you still dying to see done? I’m still waiting for that perfect arrangement of Taylor Swift’s “Style.” And will someone please do a mashup of CeeLo Green’s “F*ck You” and Meghan Trainor’s “Lips Are Movin'” already? Like, good Lord, I’ll do it myself if this doesn’t happen soon. Yes that is a threat. 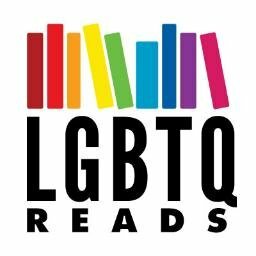 What’s something you’ve seen in LGBTQIAP+ lit that’s really stuck with you, for better or for worse? In high school, I read Will Grayson, Will Grayson. What stuck with me is Tiny Cooper’s embodiment of archetypically gay characteristics in a way that’s uniquely his own. I feel as if there’s a tendency to write, specifically, gay male characters as cleaving away from typically feminine characteristics, ostensibly to steer clear of stereotyping. But this ends up excluding gay men who are more feminine. Tiny was notable to me in that he reminded me that queer people present themselves the way they do for all sorts of reasons, all equally interesting to examine. My current favorite authorly pastime is mentally creating anthologies, since YA seems to be springing up with great ones everywhere. If you were helming one, what would you love the subject to be, and who would be among your dream contributors? SCIENCE FANTASY ANTHOLOGY PLEASE. Oh my God. My favorite genre. Just anything science fantasy. Dream contributors would include: Emily Skrutskie, because we’ve talked about this before; Heidi Heilig, because her brain is beautiful; Leigh Bardugo, because I’m a massive Bardugo fangirl please keep this a closely guarded secret; and Zadie Smith, because look, I know she’s not a YA writer, but I think if she wrote a science fantasy story I would just read it and then drop dead on the spot. Any chance you can share about what you’re working on now? Yep! Currently working on my 2018 release. It’s about a girl named Laila who’s a creative writer. (Real stretch there.) Near the end of high school, Laila’s kind, supportive creative writing teacher is replaced with a viciously critical, perpetually unimpressed Pulitzer Prize winner who believes one must suffer to make great art. Laila becomes obsessed with gaining this woman’s approval, and begins walking that ever-fascinating line between sanity and the pursuit of perfection. I’m also working on this massive four-book epic fantasy project, which I occasionally weep about on Twitter, mostly accompanied with prophecies of my own impending stress-related death. Cheers! Riley Redgate graduated from Kenyon College with a degree in Economics. 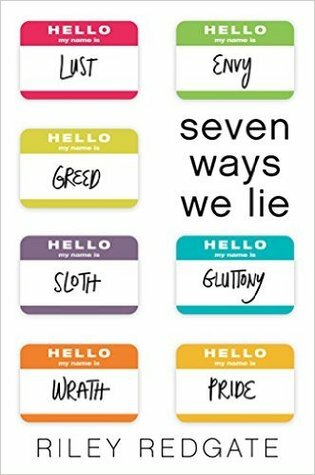 Her seven-deadly-sins-themed first novel, Seven Ways We Lie, was released last year. Her next, Noteworthy, will be released May 2nd. She currently lives in Brooklyn and wears a lot of gray, and drafts theories on why these two things so often coincide, statistically.